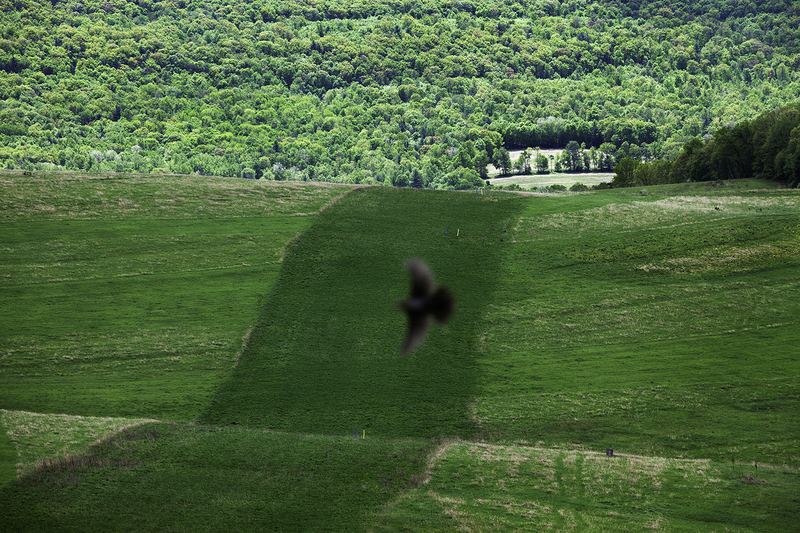 Documenting the Marcellus Shale gas boom in Pennsylvania. 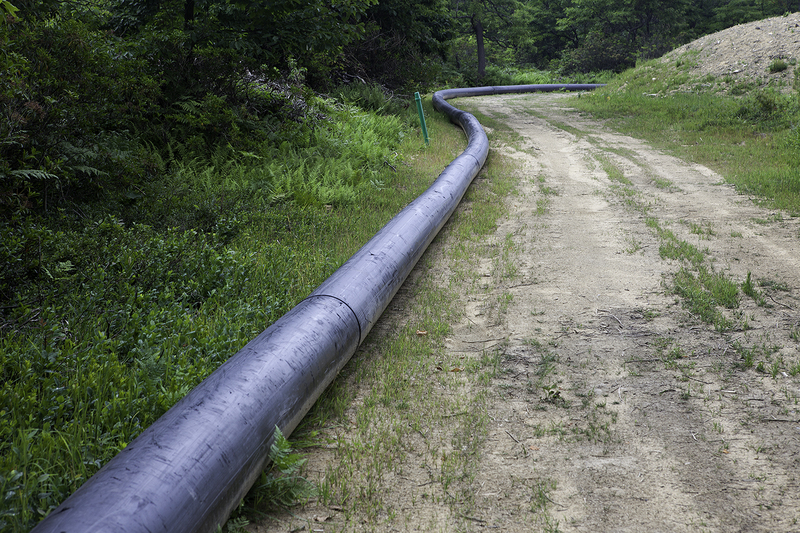 Water pipeline leading to a fracking site in Moshannon State Forest, Clearfield County, Pennsylvania. 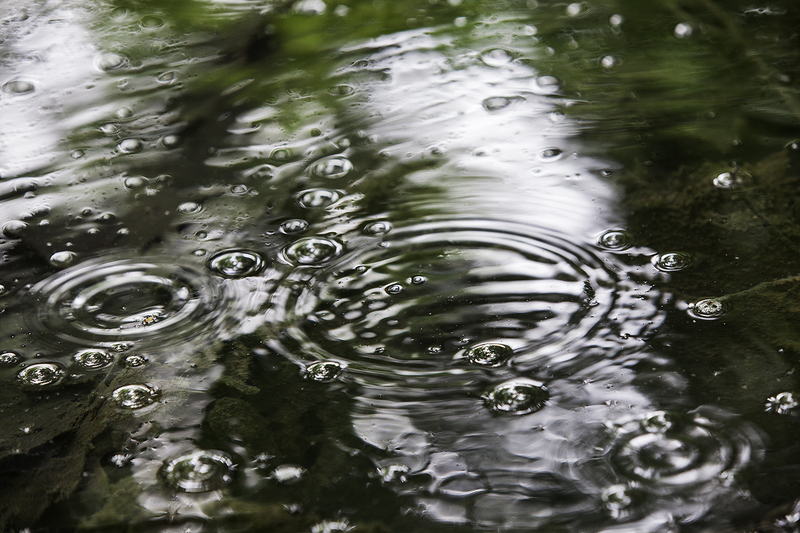 Bubbles of methane gas in a family's spring in Springhill Township in Fayette County, Pennsylvania. The family's horses stopped drinking from the spring after it began to bubble. 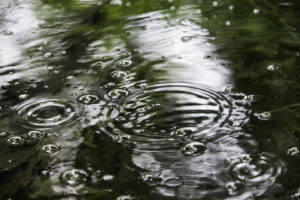 The bubbles appeared soon after gas drilling started nearby. Frac Lane street sign in Charleston Township in Tioga County, Pennsylvania. A Shell Appalachia well pad with multiple code violations is located at the end of the lane. 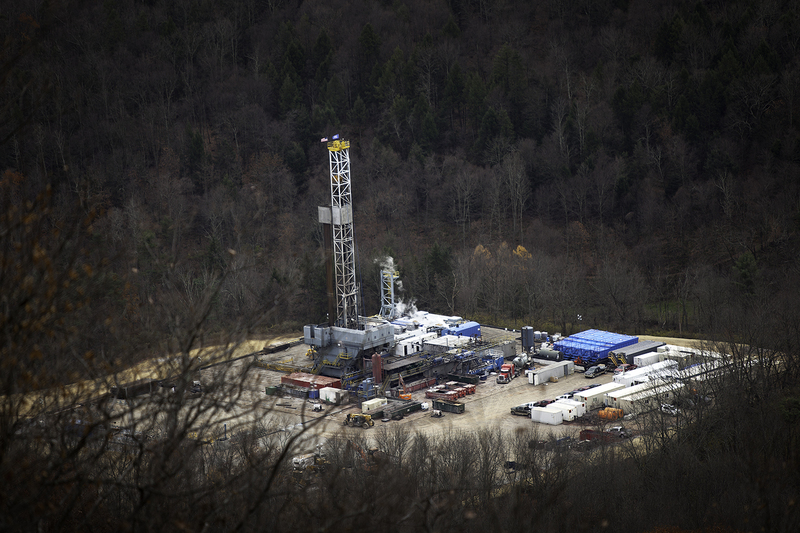 Drilling rig along Yeagle Road in Eldred Township, Lycoming County, Pennsylvania. Oklahoma University plate on a gas industry pickup outside a hotel in Uniontown, Fayette County, Pennsylvania. Anti-fracking activists protest Governor Corbett's visit to the annual Memorial Day celebration in Boalsburg, Centre County, Pennsylvania. 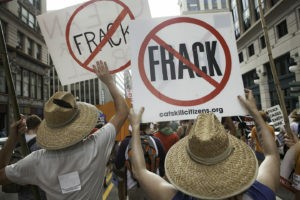 The Governor had just issued an executive order allowing natural gas drilling under state parks and forests, overturning a state moratorium on new leasing of public park and forest land. Laid off workers and students training for a variety of shale-gas careers with ShaleNet, a federally funded workforce-development program at Westmoreland County Community College, visit a Marcellus Shale drilling rig in Greene County, Pennsylvania. 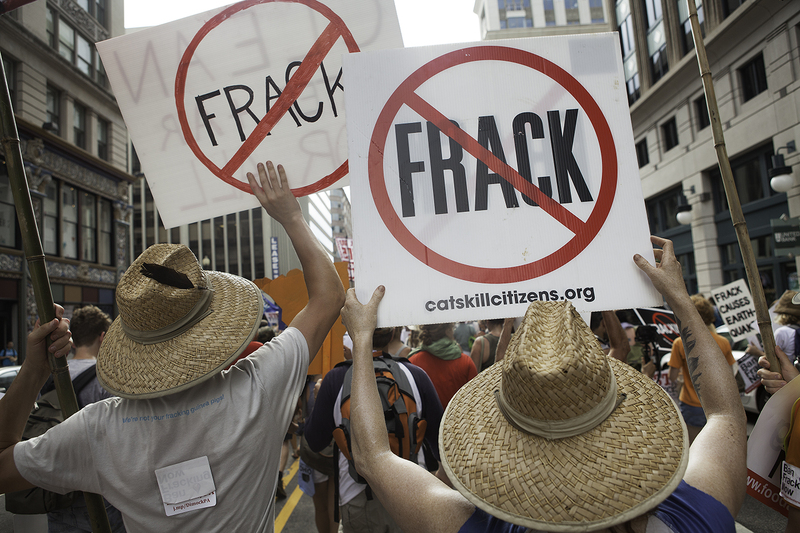 Anti-fracking rally in Washington, DC. 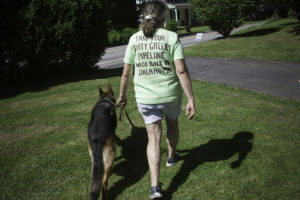 Protest and march in Conestoga, Lancaster County, Pennsylvania, against the Atlantic Sunrise pipeline proposal. 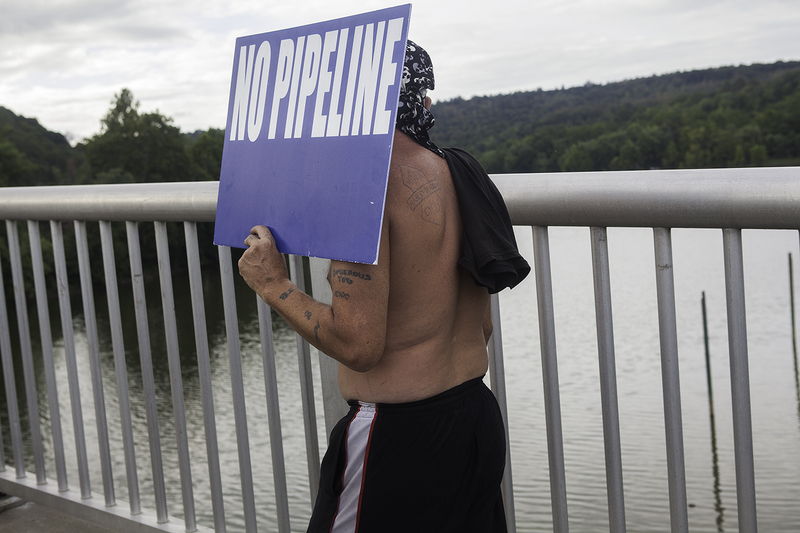 Anti-pipeline protester walks on the Point Marion Bridge and over the Monongahela River in Point Marion, Fayette County, Pennsylvania. 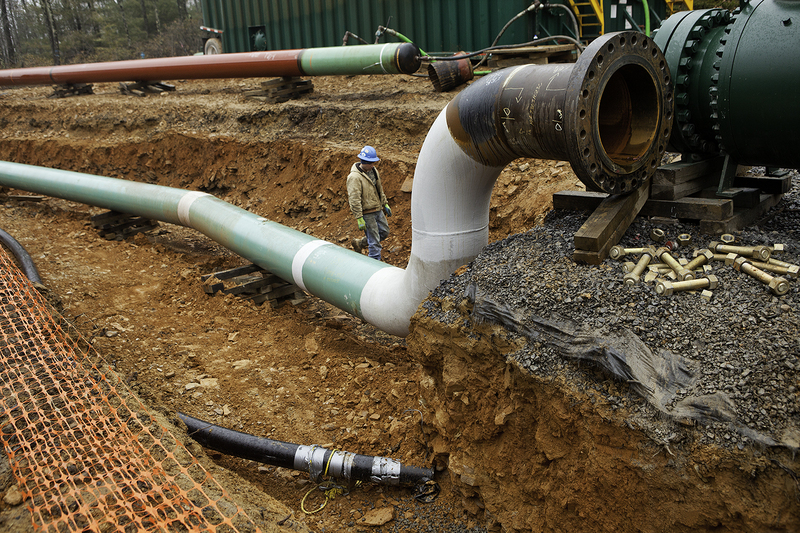 Marcellus Shale pipeline construction inside Tiadaghton State Forest near Waterville, Pennsylvania. The twelve inch pipeline will connect nearby well pads to a new compressor station in the State Forest. 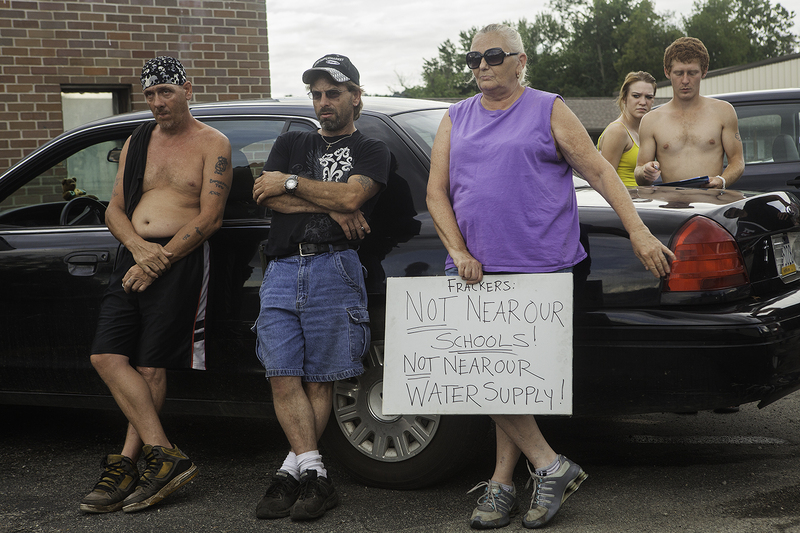 Michael Badges-Canning, a retired school teacher and climate activist (right), with Chad Santee and Penni Laine, concerned mother and neighbor of Summit Elementary School, where a nearby XTO Energy drilling rig is seen a short distance from the school's playgrounds and lawn in Summit Township, Butler County, Pennsylvania. Commissioners listen to citizens during the public comment period of a Fayette County Commissioners meeting in Uniontown, Fayette County, Pennsylvania. 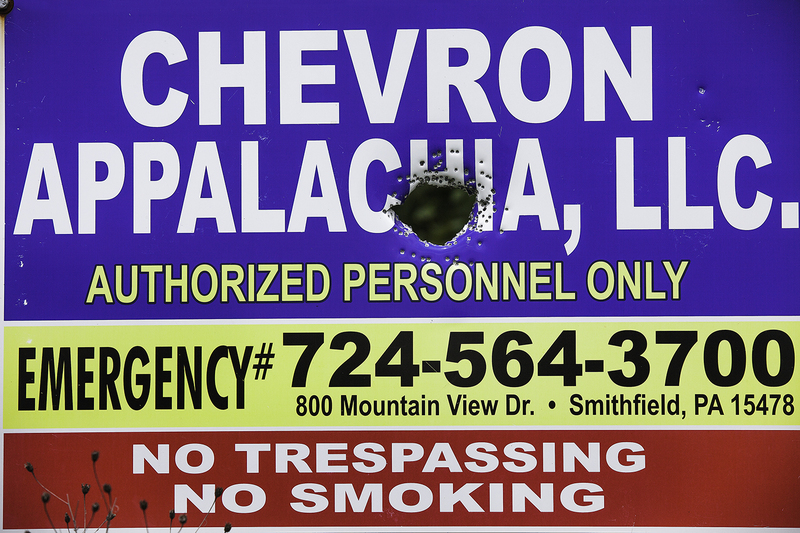 The meeting concerned the Commissioners' decision to lease a nearby Park to Chevron for gas drilling. 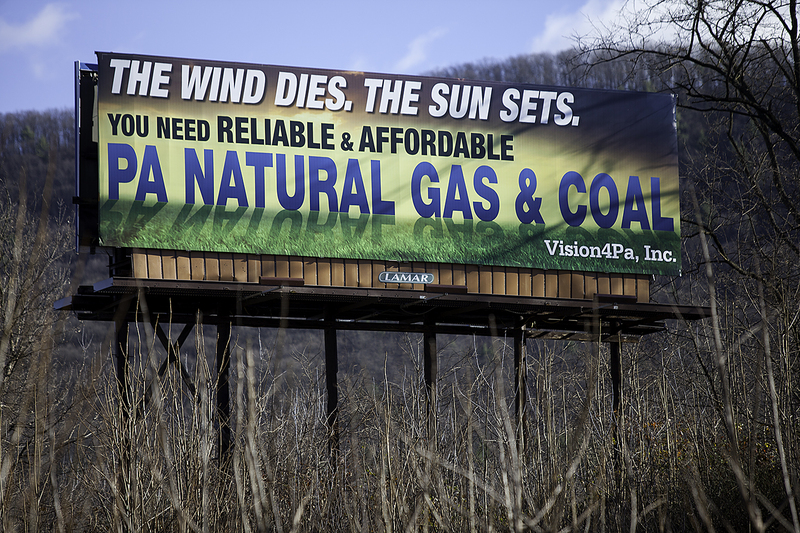 Pro-industry billboard along Interstate 80 near the town of Mackeyville in Clinton County, Pennsylvania. 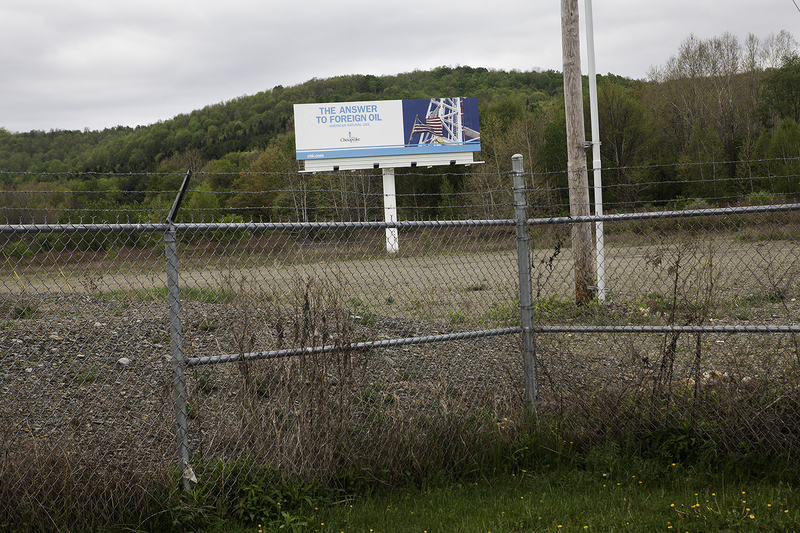 Empty holding yard previously filled with drilling equipment during the fracking boom. Chesapeake Oil billboard in the background states: "The Answer to Foreign Oil - American Natural Gas." 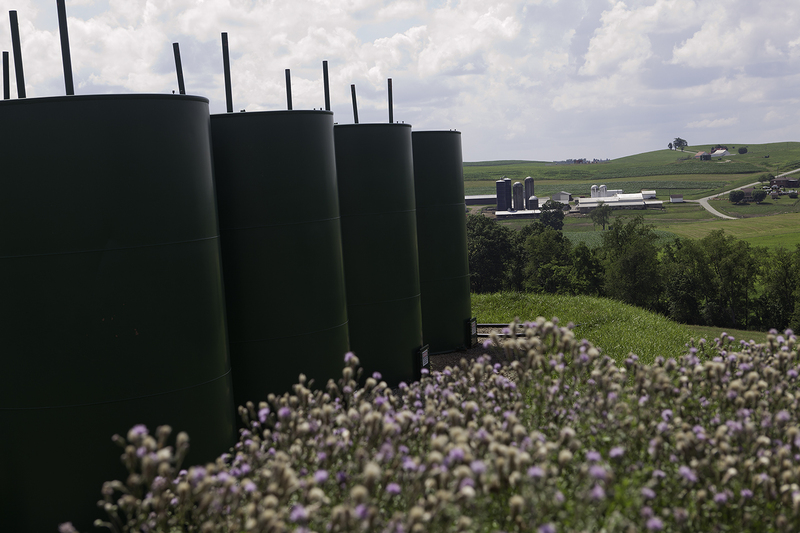 Gas condensate tanks adjoining gas wells on a dairy farm outside of Uniontown in Fayette County, Pennsylvania. 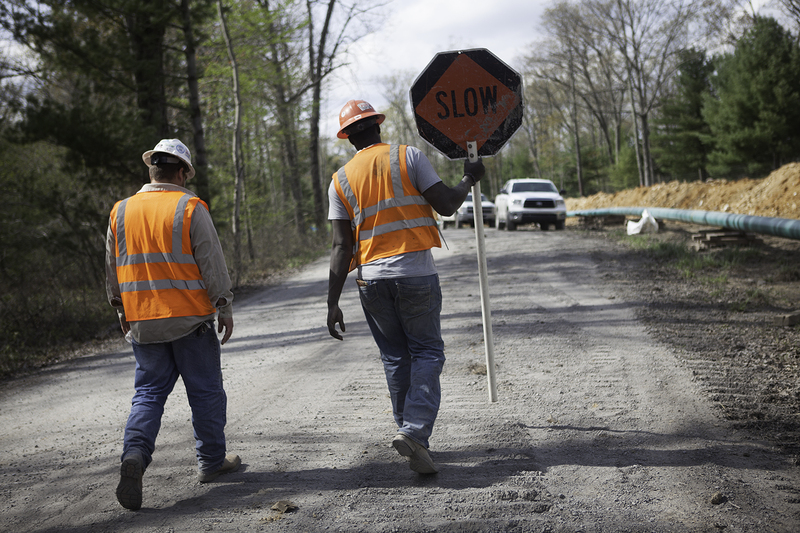 Workers loading residual waste onto trucks on an Anardarko drill pad site, Highway 284, Pine Township, Lycoming County, Pennsylvania. Women workers clean up after a day spent spray painting green paint on gas well pads throughout Moshannon State Forest in Clearfield County, Pennsylvania. 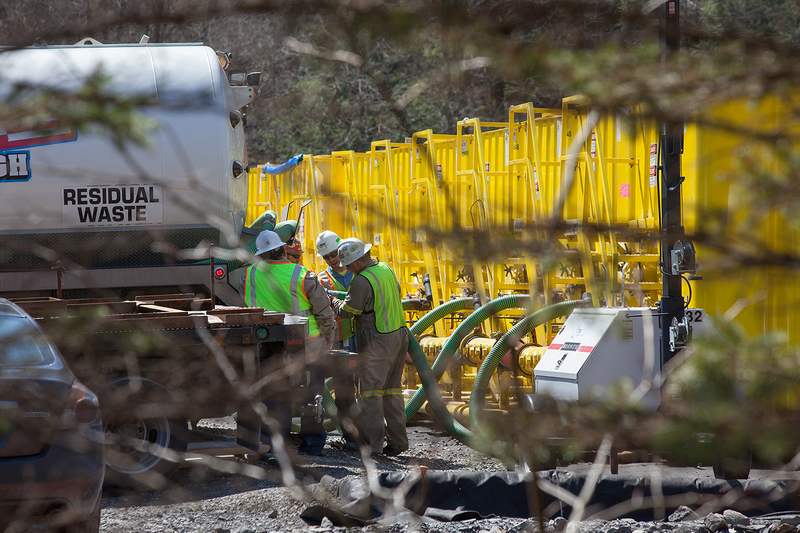 Worker assisting in the pressure test of a new gas pipeline inside Tiadaghton State Forest, Lycoming County, Pennsylvania. Drilling at the Kozik Brothers well operated by XTO Energy, as seen from nearby Summit Elementary School, located on Bonniebrook Road in Summit Township, Butler, Pennsylvania. 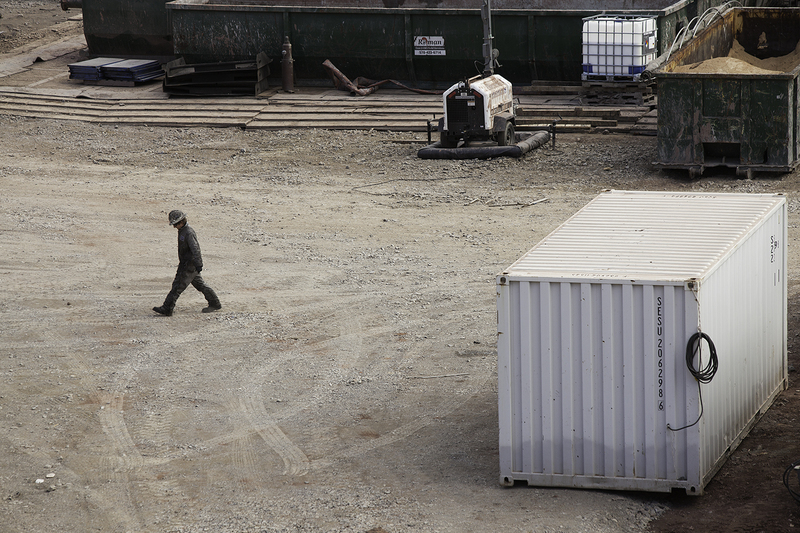 The drilling rig is but a short distance from the school's playgrounds, lawn and classrooms. 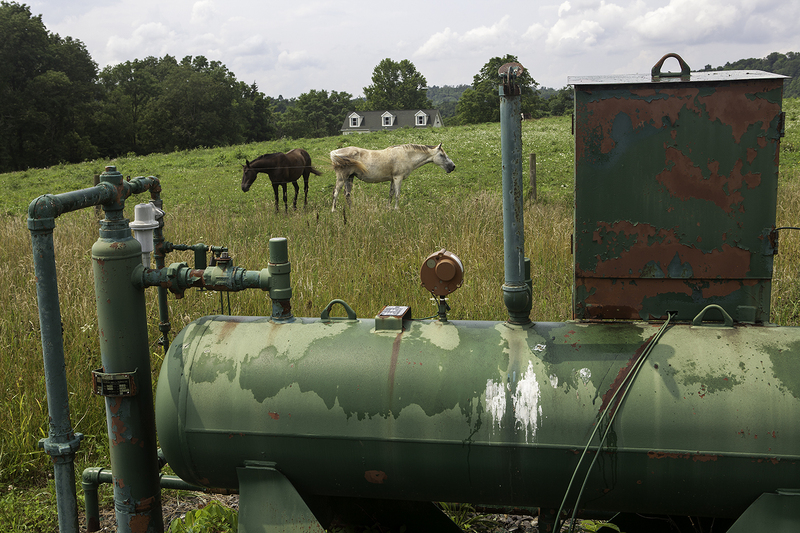 A family's home and horses near gas wells and infrastructure on their property in Springhill Township in Fayette County, Pennsylvania. 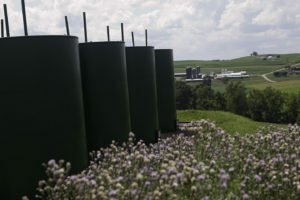 They own the land but not the gas rights. 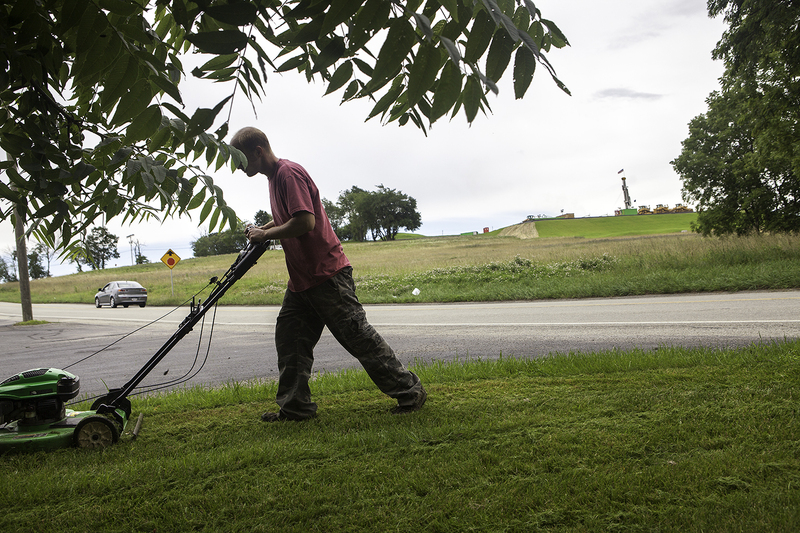 Anthony Maiolie mows the lawn near an Apex Energy drilling operation in Penn Township, Westmoreland County, Pennsylvania. Gas worker strides across the well pad during the drilling phase at an Inflection Energy site in Eldred Township, Lycoming County, Pennsylvania. Hatfield's Ferry coal-fired power plant in Masontown, Greene County, Pennsylvania. 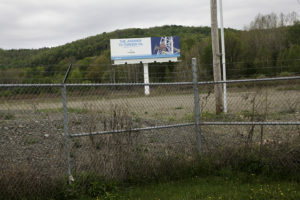 The plant, on the banks of the Monongahela River, was deactivated in late 2013 by FirstEnergy, citing the cost of compliance with current and future environmental regulations. 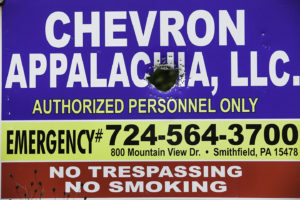 Shot up signage belonging to Chevron Appalachia in Snow Show Township in Centre County, Pennsylvania. 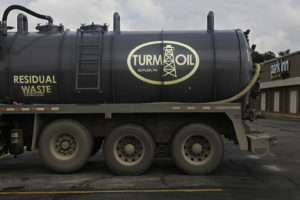 Residual waste truck parked outside the Park Inn, Uniontown, Fayette County, Pennsylvania. 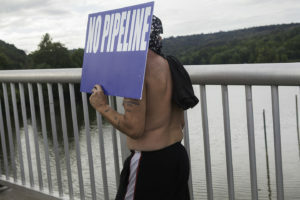 Residents of Point Marion in Fayette County, Pennsylvania, at a protest called to protect the land and communities from the unnecessary building of new natural gas infrastructure. 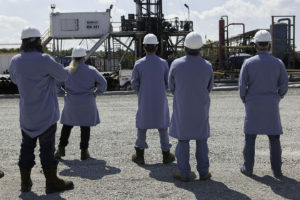 Laid off with the industry's downturn after five years working for Halliburton, a worker gets re-trained in the Roustabout certification program at Pennsylvania College of Technology in Lycoming County, Pennsylvania. 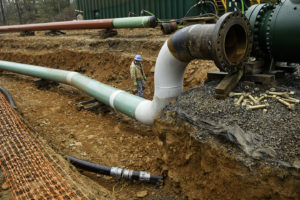 Buried gas and water pipelines extend underneath farmland near Route 973 in Watson Township, Lycoming County, Pennsylvania. 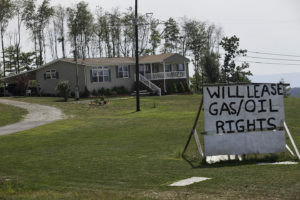 Bubbles of methane gas in a family’s spring in Springhill Township in Fayette County, Pennsylvania. The family’s horses stopped drinking from the spring after it began to bubble. The bubbles appeared soon after gas drilling started nearby. 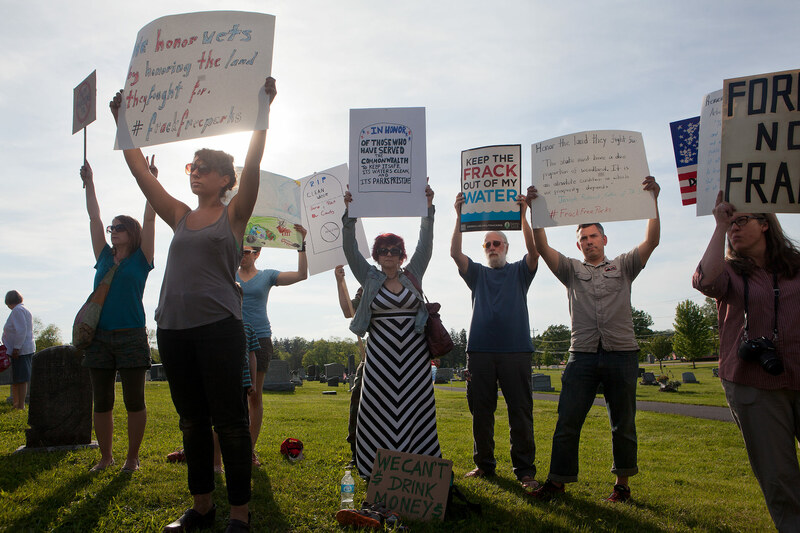 Anti-fracking activists protest Governor Corbett’s visit to the annual Memorial Day celebration in Boalsburg, Centre County, Pennsylvania. 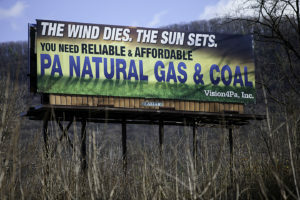 The Governor had just issued an executive order allowing natural gas drilling under state parks and forests, overturning a state moratorium on new leasing of public park and forest land. 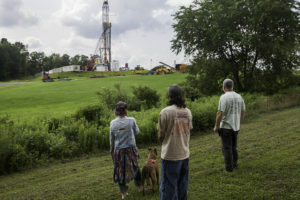 Michael Badges-Canning, a retired school teacher and climate activist (right), with Chad Santee and Penni Laine, concerned mother and neighbor of Summit Elementary School, where a nearby XTO Energy drilling rig is seen a short distance from the school’s playgrounds and lawn in Summit Township, Butler County, Pennsylvania. 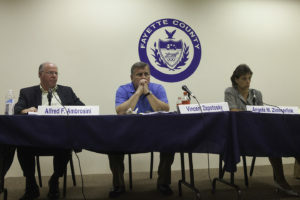 Commissioners listen to citizens during the public comment period of a Fayette County Commissioners meeting in Uniontown, Fayette County, Pennsylvania. The meeting concerned the Commissioners’ decision to lease a nearby Park to Chevron for gas drilling. Drilling at the Kozik Brothers well operated by XTO Energy, as seen from nearby Summit Elementary School, located on Bonniebrook Road in Summit Township, Butler, Pennsylvania. 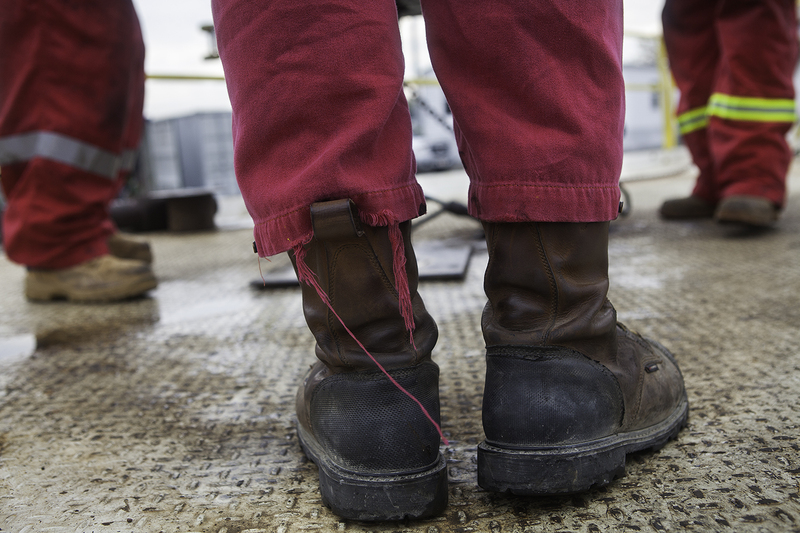 The drilling rig is but a short distance from the school’s playgrounds, lawn and classrooms. A family’s home and horses near gas wells and infrastructure on their property in Springhill Township in Fayette County, Pennsylvania. 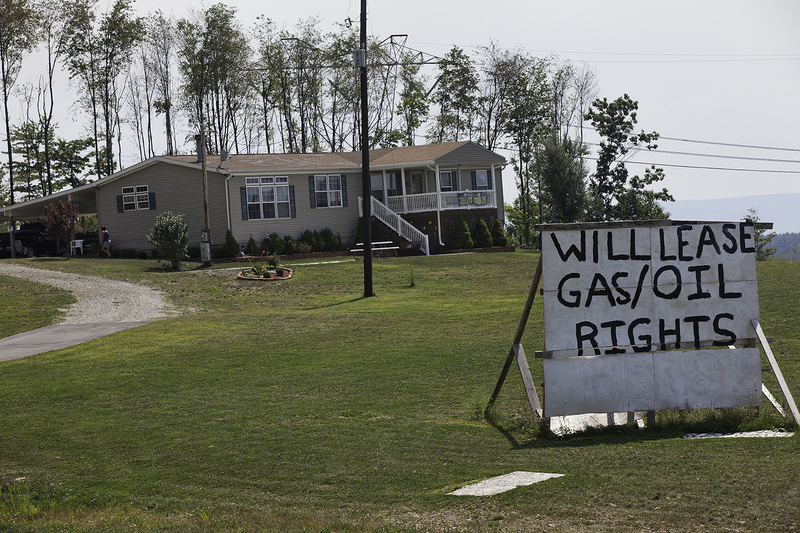 They own the land but not the gas rights. Hatfield’s Ferry coal-fired power plant in Masontown, Greene County, Pennsylvania. 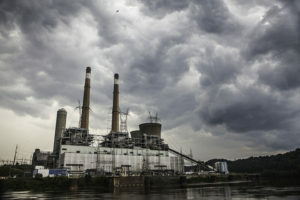 The plant, on the banks of the Monongahela River, was deactivated in late 2013 by FirstEnergy, citing the cost of compliance with current and future environmental regulations. 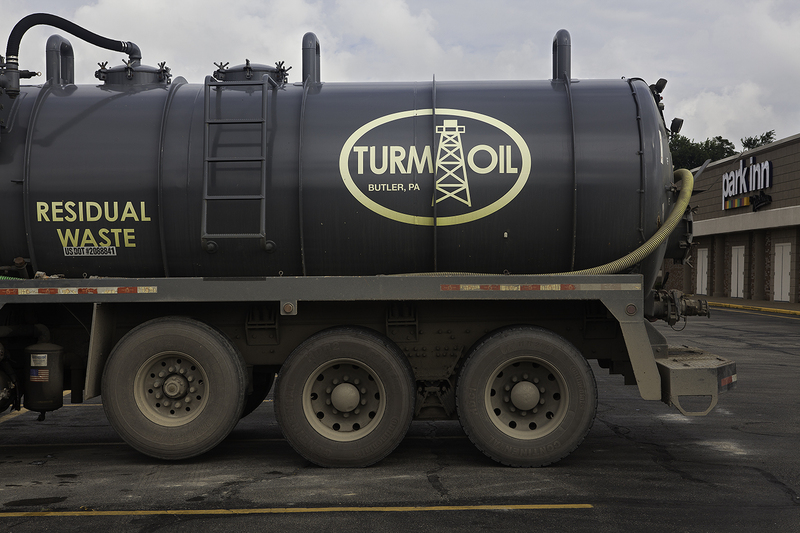 Laid off with the industry’s downturn after five years working for Halliburton, a worker gets re-trained in the Roustabout certification program at Pennsylvania College of Technology in Lycoming County, Pennsylvania. 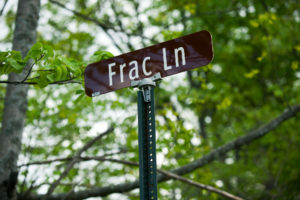 Shale Play is a series of documentary poems and photographs exploring the people and places affected by the Marcellus Shale gas boom in Pennsylvania. 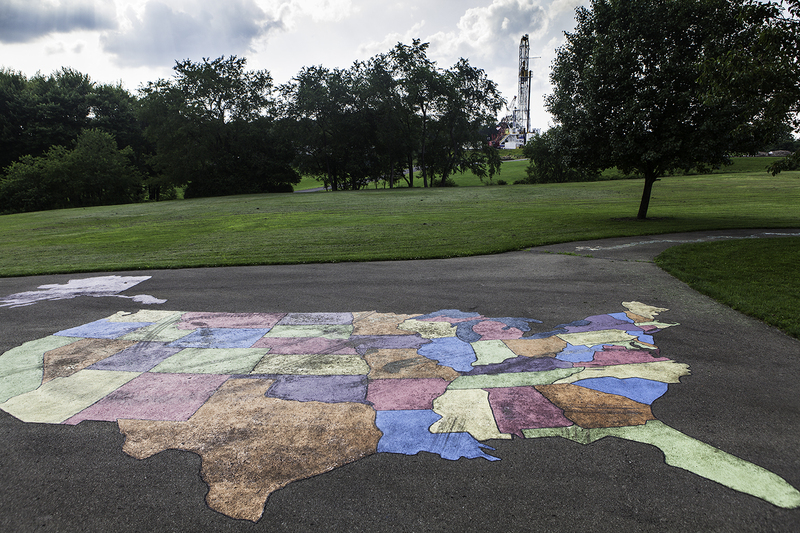 Created in collaboration with poet Julia Spicher Kasdorf, the project encompasses multiple counties across the Commonwealth and considers a broad range of stakeholders with diverse and frequently divisive experiences and perspectives on gas development that materialize as political, social, economic and physical divisions. 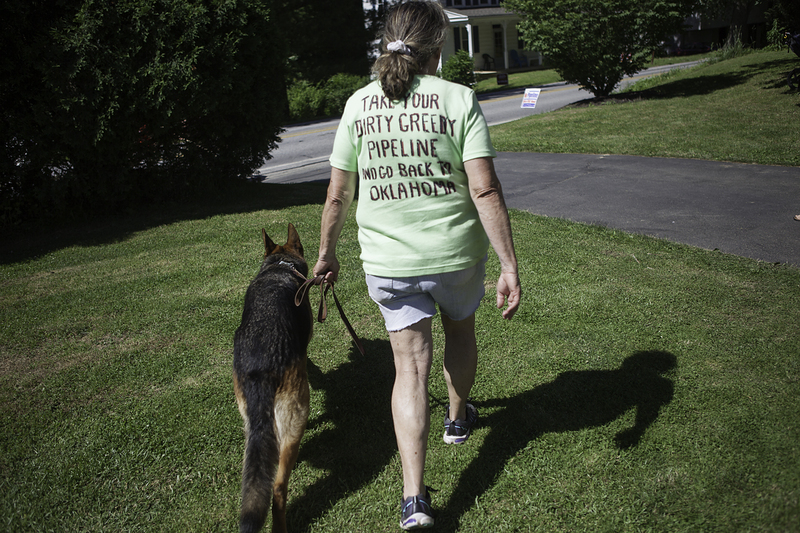 The poems and photographs feature those who work in the gas industry and those who work against it, those who benefit from drilling and those who suffer its effects, those who advocate for drilling, and those who refuse to favor short-term gain over long-term cost. Within this context always is the land itself, now (as before) voraciously mined by multiple entities for its subterranean wealth. 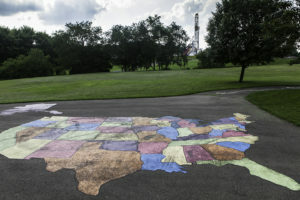 Traversing both physical landscapes and psychological terrain, the images narrate the conflict of communities and towns caught between highly charged views on the need for jobs, energy independence and rural economic health, and the necessity to actively protect the natural environment from industrial intrusion and degradation. Ultimately, these photographs offer what can only be a partial view of an entangled reality, much of which is not visibly accessible and remains hard to discern and difficult to photograph – hidden underfoot, or behind no-trespassing signs, in farmland not lost to repossession, or afloat in waterways, leached into wells, interred below ground or in gaseous form invisible to the naked eye. 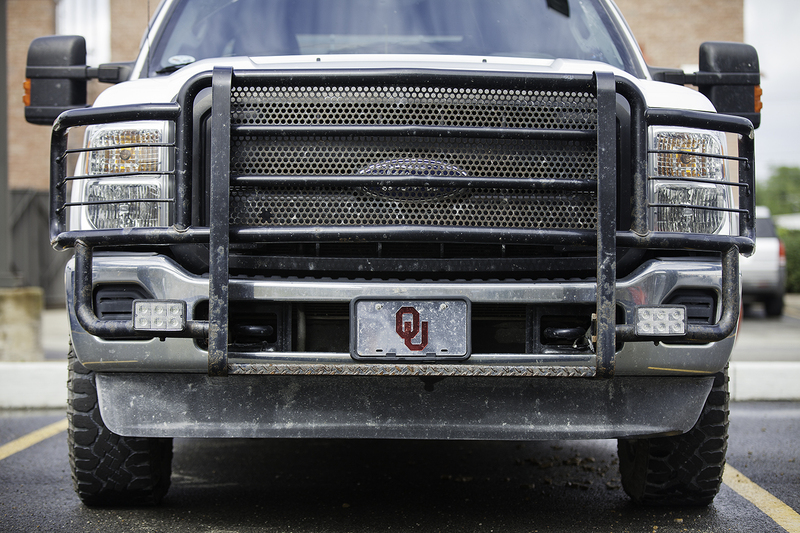 While much remains beyond the camera’s purview, the topic is far too critical to leave out of sight or closed to public dialogue and oversight. Photographs ask us to look. These photographs invite the viewer to look closely, to notice and think about what’s pictured and what’s not, what’s gained and what’s lost, what came before and what comes next. At this critical historical juncture, close and careful looking appears all the more essential.